Most of us are familiar with the design of the trefoil knot, relied on as crucial to the fundamentals of mathematics in its simplicity as well as an iconic symbol and motif throughout the ages. Examined extensively due to its role in basic mathematical theory, Frederick Hohman saw that in 3D printed form it allowed for even further inspection and understanding. 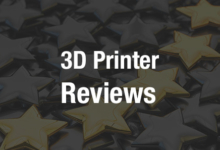 We’ve followed his 3D printed trefoil as it has gone from a pretty complex concept and 3D design for the layperson to understand in 2D, 3D, and 4D–to a much more simpler–and even musical–3D printed shape. While many of us may wonder why this is even necessary, Hohman, a PhD student at Georgia Tech studying Computational Science and Engineering in the College of Computing, realized that the benefits of 3D printing could be directly applied to this simple knot for a better understand of its geometry. This 3D printed trefoil knot is a project Hohman worked on while spending three semesters exploring 3D printing techniques in topology under Dr. David Gay in the Mathematics Department at the University of Georgia. There, they visualized complex shapes and knots with the use of a MakerBot Replicator 2. He produced the work as his thesis at the university. Hohman describes his work as “the creation of a 3D printed puzzle of the open-book decomposition of the complement of the trefoil knot.” So, considering what most of know about knots from fishing, sailing, sewing, and the like, what Hohman is doing with the trefoil may open your mind further–as you watch him compare the geometry to something like the spine of your favorite hardback, allowing it to become a complementary 3D printed analogy, and a learning device. If concepts in mathematics tend to rock your world, the genius of this idea will blow your mind in reviewing how Hohman took the 3D printed knot, twelve accompanying 3D pages, and used magnets to make a cohesive puzzle for manipulation into different forms. What’s the whole idea here, and why must we put this into 3D printed form? It’s simple: we just want to see the trefoil knot more clearly. And Hohman has reached his goal step by step as the project has evolved to completion. Using Mathematica, Blender, and MakerBot Desktop, Hohman was able to use all the tools of digital design that he needed to create this 3D printed trefoil masterpiece. Mathematica was the driving force in being able to create the trefoil sphere, through employing RegionPlot3D, a built-in function, and PlotPoints for some pretty complex plotting, as well as getting over the obstacle of the accompanying first page of the desired thickness. Once that was accomplished, it was easy to simply add as many as he wanted. “By letting Mathematica create each page with a PlotPoints of 200, we can import all twelve pages and the trefoil knot into Blender to view the unedited model,” he explained. Blender was the catalyst for being able to actually create the puzzle pieces and eventually evolve into making his final 3D printed piece. The ultimate goal, however, was to be able to print the trefoil knot separately from the pages to create a 3D puzzle. In doing so, Hohman’s completed trefoil came out in a different form than the classic shape we are used to seeing, offering up a more trumpet-like shape as he began removing the pages. This ‘trumpety’ trefoil knot is also available on Thingiverse for free downloading. It’s also fully scalable for 3D printing at whatever size you choose. He’s carefully cataloged the entire process on his website, as well.